Giving new life to a turn of the century church. This 1907 church had been converted into a residence with modest modifications. To make it suitable for family living, this most recent renovation integrated and redefined underutilized spaces. The former lower level rector’s apartment—previously accessed by separate entrance—now connects to the main living/dining space and has been transformed into a suite of children’s rooms. 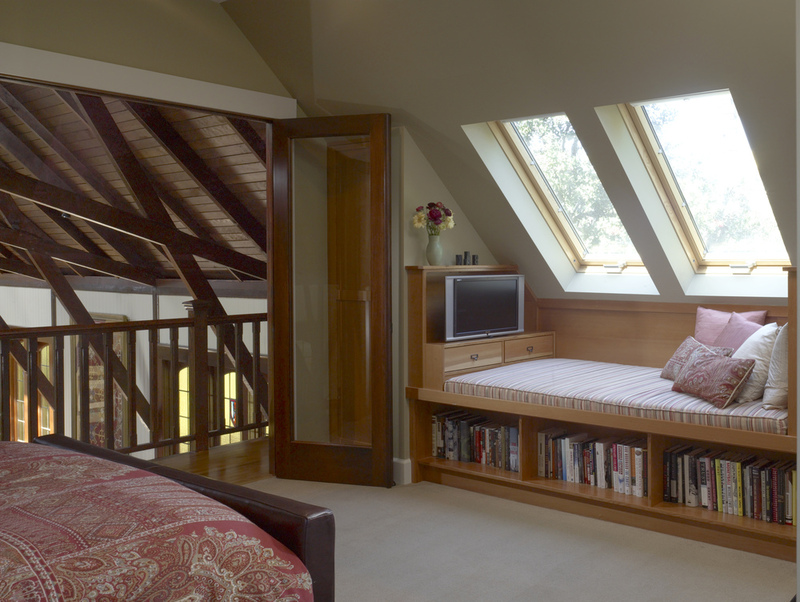 Above, a master suite, which occupies the former choir’s loft, was remodeled for added privacy. A new roof deck with hot tub and views of the Golden Gate Bridge is located over the kitchen. A new stair and balcony leading to the deck incorporates original carved wood panels from the former church, further enriching the connection between past and present.